2006-12-15 Application filed by Cornerstone Research Group, Inc. filed Critical Cornerstone Research Group, Inc.
CRQSS-RRPRRRNCR TO RKLATRD APPT JCATTONS  This application claims priority from provisional application, Serial No. 60/750,502 filed December 15, 2005, which application is incorporated herein by reference. The present invention is directed to the manufacture of epoxy based shape memory polymers (SMPs), their production and use. More particularly, the current invention comprises a reaction mixture of at least one monofunctional amine reagent ■with at least one cross linking multifunctional amine reagent -which is then further mixed with at least multifunctional epoxide -whereupon the resulting mixture is cured. The present invention is specifically drawn toward applications -which currently use epoxy resin. The need for an epoxy SMP that is obvious to those of skill in the art. The present invention is also drawn to a shape memory polymer thermosetting resin having compatibility with polymers employed in high temperature, high strength and high tolerance processes in manufacturing. Shape memory materials are materials capable of distortion above their glass transition temperatures (Tgs), storing such distortion at temperatures below their Tg as potential mechanical energy in the material, and release this energy when heated again to above the Tg, returning to their original "memory" shape. The first materials known to have these properties -were shape memory metal alloys (SMAs), including TiNi (Nitinol), CuZnAl, and FeNiAl alloys. These materials have been proposed for various uses, including vascular stents, medical guide wires, orthodontic wires, vibration dampers, pipe couplings, electrical connectors, thermostats, actuators, eyeglass frames, and brassiere underwires. With a temperature change of as little as 10° C, these alloys can exert a stress as large as 415 MPa when applied against a resistance to changing its shape from its deformed shape. However, these materials have not yet been widely used, in part because they are relatively expensive. Shape memory polymers (SMPs) are being developed to replace or augment the use of SMAs, in part because the polymers are light -weight, high in shape recovery ability, easy to manipulate, and economical as compared -with SMAs. SMPs are materials capable of distortion above their glass transition temperature (Tg), storing such distortion at temperatures below their Tg as potential mechanical energy in the polymer, and release this energy when heated to temperatures above their Tg, returning to their original memory shape. When the polymer is heated to near its transition state it becomes soft and malleable and can be deformed under resistances of approximately 1 MPa modulus. When the temperature is decreased below its Tg, the deformed shape is fixed by the higher rigidity of the material at a lower temperature while, at the same time, the mechanical energy expended on the material during deformation -will be stored. Thus, favorable properties for SMPs will closely link to the network architecture and to the sharpness of the transition separating the rigid and rubbery states. In literature, SMPs are generally characterized as phase segregated linear block co-polymers having a hard segment and a soft segment, see for example, U.S. Pat. No. 6,720,402 issued to Langer and Lendlein on April 13, 2004. As described in Langer,. the hard segment is typically crystalline, with a defined melting point, and the soft segment is typically amorphous, with a defined glass transition temperature. In some embodiments, however, the hard segment is amorphous and has a glass transition temperature rather than a melting point. In other embodiments, the soft segment is crystalline and has a melting point rather than a glass transition temperature. The melting point or glass transition temperature of the soft segment is substantially less than the melting point or glass transition temperature of the hard segment. .Examples of polymers used to prepare hard and soft segments of known SMPs include various polyacrylates, polyamides, polysiloxanes, polyurethanes, polyethers, polyether amides, polyurethane/ureas, polyether esters, and urethane/butadiene copolymers. The limitations with these are other existing shape memory polymers lie in the thermal characteristics and tolerances of the material. The Tg of a material may be too low for the conditions in which the system will reside, leading to the material being incapable of activation. An example of such a situation is an environment with an ambient temperature exceeding the transition temperature of the SMP; such a climate would not allow the polymer to efficiently make use of its rigid phase. Additionally, current organic systems from -which SMPs are synthesized are not capable of operating in adverse environments that degrade polymeric, materials. An example of such an environment is low earth orbit, where intense radiation and highly reactive atomic oxygen destroy most organic materials. Applications for a shape memory material capable of -withstanding these harsh conditions as -well as higher thermal loads include, but are not limited to; morphing aerospace structures and space compatible polymers capable of self-actuation and dampening. As discussed in Langer, SMP can be reshaped and reformed multiple times without 1 osing its mechanical or chemical properties. When the SMP described by Langer is heated above the melting point or glass transition temperature of the hard segment, the material can be shaped. This (original) shape can be memorized by cooling the SMP below the melting point or glass transition temperature of the hard segment. When the shaped SMP is cooled below the melting point or glass transition temperature of the soft segment -while the shape is deformed, a new (temporary) shape is fixed. The original shape is recovered by heating the material above the melting point or glass transition temperature of the soft segment but below the melting point or glass transition temperature of the hard segment. The recovery of the original shape, which is induced by an increase in temperature, is called the thermal shape memory effect. Properties that describe the shape memory capabilities of a material are the shape recovery of the original shape and the shape fixity of the temporary shape. Conventional shape memory polymers generally are segmented polyurethanes and have hard segments that include aromatic moieties. U.S. Pat. No. 5,145,935 to Hayashi, for example, discloses a shape memory polyurethane elastomer molded article formed from a polyurethane elastomer polymerized from of a difunctional diisocyanate, a difunctional polyol, and a difunctional chain extender. Several physical properties of SMPs other than the ability to memorize shape arc significantly altered in response to external changes in temperature and stress, particularly at the melting point or glass transition temperature of the soft segment. These properties include the elastic modulus, hardness, flexibility, vapor permeability, damping, index of refraction, and dielectric constant. The elastic modulus (the ratio of the stress in a body to the corresponding strain) of an SMP can change by a factor of up to 200 "when heated above the melting point or glass transition temperature of the soft segment. Also, the hardness of the material changes dramatically when the soft segment is at or above its melting point or glass transition temperature. When the material is heated to a temperature above the melting point or glass transition temperature of the soft segment, the damping ability can be up to five times higher than a conventional rubber product. The material can readily recover to its original molded shape following numerous thermal cycles, and can be heated above the melting point of the hard segment and reshaped and cooled to fix a new original shape. The industrial use of SMPs has been limited because of their low transition tempera tares. Epoxy resins are a unique class of material which possesses attractive thermal and mechanical properties. Epoxy resins polymerize thermally producing a highly dense crosslinked network. Typically these thermoset epoxy networks are rigid and have low strain capability. By altering this network system, it is possible to produce a lightly crosslinked network still possessing many of the original materials properties but with the functionality of a shape memory polymer. Currently there is no epoxy based SMP available. The epoxy based shape memory polymers (SMPs) that are described in this application are -well adapted for industrial use in making SMP Molds, as set forth in U.S. Pat. No. 6,986,855 issued to Hood and Havens on January 17, 2006, or for use in other industrial and manufacturing processes. SMPs have a very narrow temperature span in which they transition from hard to soft and back again. Additionally it is possible to manufacture the SMP such that the activation of the SMP occurs over a very narrow temperature range, typically less than 5 degrees Celsius. This narrow glass transition temperature (Tg) range is a key property that allows a SMP to maintain full structural rigidity up to the specifically designed activation temperature. SMPs possessing these properties, such as described here, are particularly useful in applications that will change shape at some stage but need the structure to stay rigid at higher operating temperatures, typically greater than 00C, such as morphing aerospace structures and SMP molding processes. In accordance with the present invention, the SMPs disclosed are a reaction product of at least one reagent containing two active amino-hydrogen or two active phenolic-hydrogen with at least one multifunctional cross linking reagent which contains at least three or more active amino- or phenolic-hydrogen or is a reagent containing at least three glycidyl ether moieties which is then further mixed with at least one diglycidyl ether reagent whereupon the resulting mixture is cured and has a glass transition temperature higher than 00C. This reaction creates crosslinking between the monomers and polymers such that during polymerization they form a crosslinked thermoset network. Therefore it is an object of the present disclosure to provide an epoxy- based polymer containing a crosslinked thermoset network which exhibits the shape memory effect described above. DETATLRD DESCRIPTION OF THE INVENTION  Generally, shape memory polymers (SMPs) are comprised of two essential components; the back bone polymer, which is comprised of monomcric constituents that undergo polymerization to produce polymers possessing specific glass transition temperatures (Tgs), and a crosslinking agent. The mixture of monomers can be formulated so that the glass transition temperatures can be tuned to meet different operational needs for specific applications. In general, shape memory polymer (SMP) can be made with any polymer system by introduction of a small, but specific amount of crosslinking agent into the material. However, the exact chemistry to introduce this crosslinking into the material varies with different polymers. In the case of epoxy SMP, this can be achieved by using amine and phenol reagents that form linear polymer chain with the diepoxide (e.g. Bisphenol Λ diglycidyl ether, which is the most commonly available epoxy resin) and cured with small amount of crosslinking multifunctional amine, phenol or glycidyl ether reagents. In contrast, common epoxy resins are normally cured with stochiometric amount of diamine crosslinking reagents. The use of these amine reagents ensures there is enough flexibility between the crosslinking points within the polymer materials, and this flexibility or mobility is what imparts the materials with shape memory properties. The crosslink density is crucial in controlling the elongation and transition temperature ("T") of epoxy SMP. For most applications, the highest crosslink density possible is desired in order to maximize the Tg and thereby the use of the material. A relatively low crosslink density is required in SMP materials to allow movement of epoxy chains, increasing elongation and shape memory properties. However, if too few crosslinkers are present, the material behaves as a thermoplastic, irreversibly deforming at elevated temperatures. Therefore one must be careful to find the optimum crosslink density that allows for maximum elongation with full retention of original form. Crosslink density is defined as the number of moles of crosslinker divided by the total moles of the resin system. 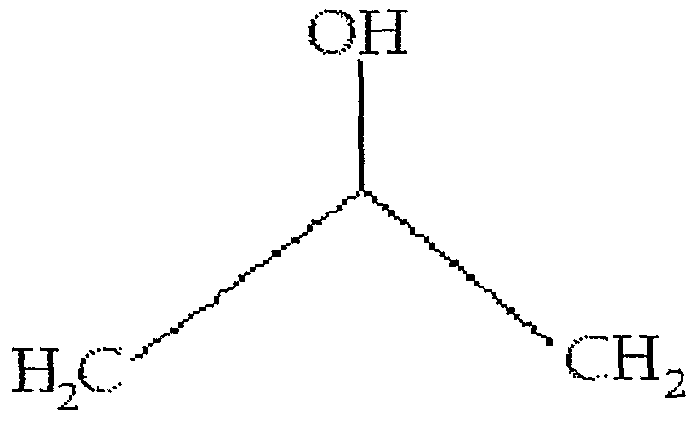 In formulation, balanced stoichiometry must be used, meaning that all reactive epoxide groups must have one active amino-hydrogen or phenolic-hydrogen to react with. Therefore, the monomers containing two active amino- hydrogen or phenolic-hydrogen serve as chain extenders while the multifunctional- amines, phenols, or glycidyl ethers serve as crosslinkers. In formulation, two equations must be solved simultaneously: one balancing all reactive groups and the other defining the crosslink density. Depending on the curing agents and epoxies used, crosslink densities ranging from 0.2 tnol% to 10 mol% based on total number of moles. Dissolving thermoplastics in epoxy resins is often performed to increase toughness. Often, solvents or kneading machines are used to adequately blend thermoplastics and epoxy resins. One approach that can be taken "with epoxy SMP is in situ polymerization, where a thermoplastic modifier is polymerized during the cure of the epoxy resin. The thermoplastic polymerizes via a free-radical addition mechanism, while the epoxy polymerizes in an epoxide ring-opening reaction. This allows simple mixing of the two low viscosity resins: the thermoplastic monomers and the epoxy resin system. The T of the original epoxy formulation is affected depending on the thermoplastic used and degree of polymerization. Styrene and acrylate monomers can used together and independently to tailor the Tg of the material. The loading of initiator can also be modified to control the chain length of the thermoplastic molecules. The presence of the thermoplastic phase does not hinder the elongation of the epoxy matrix. Any loading is possible, although visible phase separation occurs above 10 weight percent for polystyrene systems. In addition to using reagents containing active amino groups, it is also possible to use diphenol reagents containing active phenolic groups to produce epoxy- based SMP, some examples of these diphenol reagents are as follows: Hydroquinone, methylhydroquinone, resorcinol, catechol, 4,4'-(9-fLuorenyJlidene)diρhenol, 2,7- dihydroxynaphthalene and bisphenol A. In addition it is possible to tune the mechanical properties such as toughness and Tgof the epoxy SMP using thermopolastic. Thermoplastics are dissolved in epoxy resin systems to increase toughness, enhance self-healing properties, and modify other material properties. By incorporation the following commercial thermoplastics in epoxy SMP resin the mechanical and chemical properties of the final SMP can be tailored to specific design and environmental requirements: polystyrene, polysulfone, and polymethyl methacrylate. The following thermoplastics, and their copolymers, also have potential use in epoxy SMP: Polyacrylonitrile, Polybutylacrylate, Polymethylmethacrylate, Polybutadiene, Polyoxymethylene (acetal), High impact polystyrene, Polyamide, Polybutylene terephthalate, Polycarbonate, Polyethylene, Polyethylene terephthalate, Polyetheretherketone, Polyetherimide, Polyethersulfone, Polyphtiialamide, Polyphenylene ether, Polyphenylene sulfide, Polystyrene, Polysulfone, Polyurethane, Polyester, and Poly(styrene-acrylonitrile). The current material system shows a great degree of strain (i.e. elongation) above Tg as compared to those epoxy system that were published. The materials also show good stability significantly at least 600C above T , unlike the published material system which continues to cure above Tg which leads to change of material properties each time the material is heated. MODES FOR CARRYING OUT THE INVENTION  The invention will now be further described with reference to a number of specific examples which are to be regarded solely as illustrative and not as restricting the scope of the invention. As an example, 1.08g aniline (amine reagent) was mixed with 0.066g of methylenedianline (crosslinking diamine). The resulting solution was mixed with 4.17g of bisphenol A diglycidyl ether to form an homogeneous solution. THs solution was then injected into a glass mold, made with two, 2"X2" glass with a Viton O-ring sandwiched in between, by syringe. The resulting material was cured in an oven preheated to 125C for 18 hours. This resulted in a dear solid shape memory polymer at room temperature that has a glass transition temperature (Tg)of about 104C. The resulting material was also tough, as revealed by its resistance to cutting by razor blade hitting with a hammer, and with large elongation above its Tg, and excellent shape recovery. The rubbery modulus of this material was also significantly higher than the styrene-based SMP. For a resin system with a Tg of 1030C, Bisphenol A diglycidyl ether at 78.94% weight is mixed with aniline at 19.88% weight and DETDΛ (major isomers: 3,5- diethyltoluene-2,4-diamine and 3,5-diethyltoluene-2,6-diamine) at 1.19%weight. All components are miscible liquids and are easily combined through mechanical mixing. For a resin system with a Tg of 600C, diglycidyl ether of Bisphenol A at 45.32% weight and 1,4-butanediol diglycidyl ether at 31.38% weight are mixed with aniline at 21.99% -weight and DETDA (major isomers: 3,5-diethyltoluene-2,4-diamine and 3,5-diethyltoluene-2,6-diamine) at 1.31%weight. All components are miscible liquids and are easily combined through mechanical mixing. While the amount of corsslinking reagents used can vary from .01 mol% to 10 mol% or more, it is particularly preferred to keep the amount between 0.2 mol% to 7.0 mol%. The amount of phenol or amine reagents will vary stoichiometrically with the epoxide reagents and each can vary from 35 mol% to 65 mol%. It is particularly preferred that both are in the range of 45 mol% to 55 mol%. The glass transition temperature of the shape memory polymer can be also be tailored by altering the mixture of mono- and mutli-functional amine reagents and the multifunctional cpoxy resins. The transition temperature can also be tailored by the combination of different reagents and resins such that more than one reagent or resin is added to a single mixture. The resulting formulations all showed the ability to withstand strains from at least from 0-60% of their original size before critical deformation occurred. Additionally some formulations showed the ability to expand 0- 700% of their original size before critical deformation occurred. Finally, additional catalytic elements may be used to assist the reaction and lower the final cure temperature of the epoxy-based SMP. Some catalysts that could be used are: bis(triphenylρhosphoranylidene) ammonium chloride, bis(triphenylphosphoranylidene) ammonium bromide, and bis(triphenuylphosρhoranylidene) ammonium acetate. The shape memory phenomenon in the vicinity of Tg and the ability to set the value of T by varying the composition, over a very broad range of temperatures allows contemplation of numerous applications in varied uses including, but not limited to, molds for contact lenses manufacturing, molds for composite manufacturing, structural deployment devices for remote systems, games and toys, domestic articles, arts and ornamentation units, medical and paramedical instruments and devices, thermosensitive instruments and security devices, office equipment, garden equipment, educative articles, tricks, jokes and novelty items, building accessories, hygiene accessories, automotive accessories, films and sheets for retractable housings and packaging, coupling material for pipes of different diameters, building games accessories, folding games, scale model accessories, bath toys, boots and shoes inserts, skiing accessories, suction-devices for vacuum cleaners, pastry-making accessories, camping articles, adaptable coat hangers, retractable films and nets, sensitive window blinds, isolation and blocking joints, fuses, alarm devices, sculpture accessories, adaptable hairdressing accessories, plates for braille that can be erased, medical prosthesis, orthopedic devices, furniture, deformable rulers, recoverable printing matrix, formable casts/braces, shoes, form-fitting spandex, form-fitting clothes, self-ironing clothes, self- fluffing pillow, deployable structures, space deployable structures, satellites, and pipe replacement for underground applications. 1 A shape memory polymer comprising a reaction mixture of at least one reagent containing two active amino-hydrogen or two phenolic-hydrogen with at least one cross linking multifunctional reagent which contains at least three or more active amino- or phenolic-hydrogen or is a reagent containing at least three glycidyl ether moieties which is then further mixed with at least one dlfunctional epoxide whereupon the resulting mixture is cured and has a glass transition temperature higher than 0°C. and substituted piperazmes, e g., 2-(methylamido)piperazine, 2-methylρiperazme, 2,5- dimethylpiperazine, 2,6-dirnethylpiperazme, aniline and substituted anilines, e.g., A- (methylamido)aniline, 4-methoxyaniline (p-anisidine), 3-methoxyamline (m-anisidine), 2- methoxyaniline (o-anisidine), 4-butylaniline, 2-sec-butylaniJine, 2-tert-butylaniline, 4-sec- butylaniline, 4-tert-butylaniline, 5-tert-butyl-2-methoxyaniline, 3,4-dumethoxyaniline, 3,4- dimetliylaniime; alkyl amines and substituted alkyl amines, e g., propylamine, butylamine, tert-butylamine, sec-butylamine, benzylamine, alkanol amines, e.g., 2-aminoethanol and l-aminoρroρan-2-ol; and aromatic and aliphatic secondary diamines, e g , 1,4- bis(πiethylamino)benzene, l,2-bis(methylanitno)ethane and N,N'-bis(2- hydroxyethyl)ethylenediarmne, N,N'-dibenzylethylenedimaine; and other aromatic amines, e.g., 3-amiϊioρhenol, 4-aminopyndine, 3-aminopyridine, 2-aminρyridine, 2- aminothiophenol. 3. The shape memory polymer of claim 2 wherein the reagent with two active amino-hydrogen is added m a percentage of approximately 35 mol % to 55 mol% based on the total number of moles of material in the shape memory polymer. 4. The shape memory polymer of claim 1 wherein the multifunctional crossknkmg reagent is selected from the group consisting of tetraphenylolethane glycidyl ether, 4,4'-methylenebis(N,N-dlglycidylaniline); tns(2,3-eρoxypropyl) isocyanurate, glycerol propoxylate tπglycidyl ether, aromatic diamines, e.g., methylenedianiline, 3,5- dimethylthio-2,4-toluenediamine, 3,5-dimethylthio-2,6-toluenediamine, 3,5-diethyl-2,4- tolucncdiaminc, 3,5-dicthyl-2,6-tolucncdiaminc, 2,6-diaminotolucnc, m-xylylcncdiarmnc, 2,5-diarninopyridine; and aliphatic diamines, e.g., 1,2-diaminoethane, 1,3- diaminopropane, 1,4-diaminobutane, 1,8-diaminooctane; aliphatic diamine, e.g., diethyl enetriamine, tris(2-aminoethyl)amine. 6. 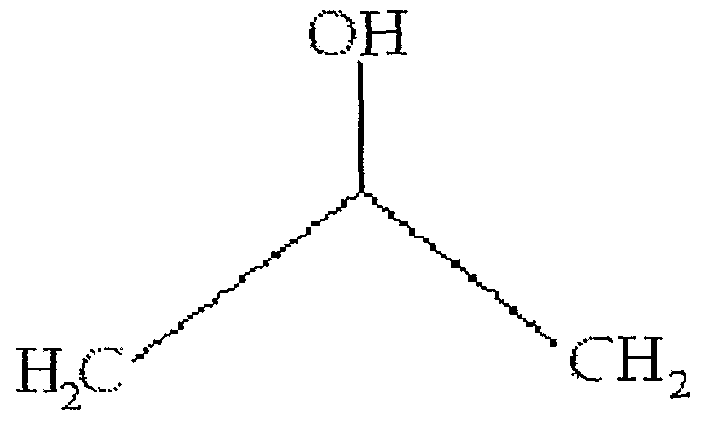 The shape memory polymer of claim 1 wherein the difunctional epoxide is selected from the group consisting of diglycidyl ethers of resorcinol, hydroquinone, 4,4'- isopropylidene bisphenol (bisphenol A), bis(4-hydroxyphenyl)-2,2-dichloroethylene (bisphenol C), bis(4-hydroxyphenyl)methane (bisphenol F), 4,4'-sulfonyldiphenol (Bishphenol S), 4,4'-(9-fl.uorenylidene)diphenol, 4,4'-dihydroxydiphenylethylmethane, 3,3'-dihydroxydiphenyldiethylmethane, 3,4'-diliydroxydiphenylmethylpropylmethane, 4,4'-dihydroxydiphenyloxide, 4,4'-dihydroxydiphenylcyanomethane, 4,4'dihydroxybiphenyl, 4,4'-dihydroxybenzophenone (bisphenol-K), 4,4'- dihydroxydiphenyl sulfide, 2,6-dihydroxynaphthalene, 1,3-dihydroxynaphthalene, 1,5- dihydroxynaphtlialene, 1,6-dihydroxynaρhthalene, 1,7-dihydroxynaphthalene, 2,7- dihydroxynaphthalene, catechol, 1,4-butanediol, 1,4-cyclohexanedimethanol, 1,2- cyclohexanedimethanoL 1,6-hexanediol, neopentyl glycol, or ethylene glycol. 10. The shape memory polymer of claim 1 wherein reagent with two active phenolic-hydrogens is selected from the group consisting of resorcinol, hydroquinone, 4,4'-isopropylidene bisphenol (bisphenol A), bis(4-hydroxyphenyl)-2,2-dichloroethylene (bisphenol C), bis(4-hydroxyphenyl)methane (bisphenol F), 4,4'-sulfonyldiphenol (Bishphenol S), 4,4'-(9-fiuorenylidene)diphenol, 4,4'-dihydroxydiphenylethylmethane, 3,3'-dihydroxydiphenyldiethylrnethane, 3,4'-dihydroxydiphenylmethylproρylmethane, 4,4'-dihydroxydiphenyloxide, 4,4' -dihydroxy diphenylcyanomethane, 4,4'dihydro-jcybiphenyl, 4,4'-dihydroxybenτ:ophenone (bisphenol-K), 4,4'- dihydroxydiphenyl sulfide, 2,6-dihydroxynaphthalene, 1,3-dihydroxynaphthalene, 1,5- dihydroxynaphthalene, 1,6-dihydroxynaphthalene, 1,7-dihydroxynaphthalene, 2,7- dihydroxynaphthalene, 4-/ι?rf-butylcatechol and catechol. 11. The shape memory polymer of claim 10 -wherein the reagent with two active phenolic-hydrogens is added in a percentage of approximately 35 mol% to 55 mol% based on the total number of moles of material in the shape memory polymer. and wherein R1 is an trx-Functional, tctra-functional or pcnta-functional amine or aromatic ether moiety and may be the same or different between each group, and whereirJR^, R3, and R4, may by any aliphatic or aromatic monomeric unit or polymer and may be the same or different between or amongst each group, and wherein X and Y can be N or O and can be the same or different between or amongst each group, and wherein a and b can be 1 or 2, and wherein n and m can be any positive non-zero whole number. and wherein R5 is an tri-functional, tetra-functional or penta-functional aromatic or aliphatic moiety and may be the same or different between each group, and wherein R6, R7, and R8, may by any aliphatic or aromatic monomeric unit or polymer and may be the same or different between or amongst each group, and wherein X and Y can be N or O and can be the same or different between or amongst each group, and wherein a and b can be 1 or 2, and -wherein n and m can be any positive non-zero whole number.